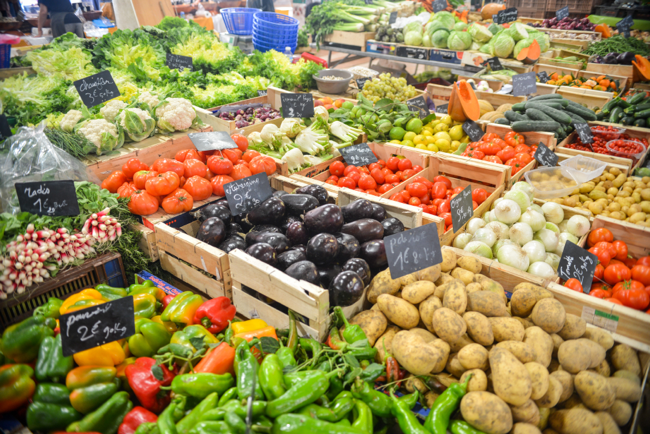 Are you looking to shop for the freshest, most succulent and crip farm produce in town? For the residents and homeowners of 30A luxury homes, enjoying these delightful products is just an arm’s reach away at various weekly farmers markets in and around the area. 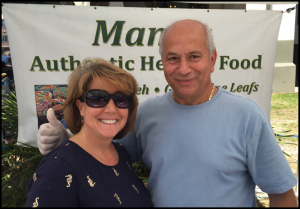 Every week many local businesses and establishments put out their best products, from various farm produce, to delectable foodstuffs, deserts, hummus, guacamole and even body care. There’s always something for everyone! Here are a few of the best farmers markets along Scenic Highway 30A. Every Sunday from 9 AM to 1 PM in Rosemary Beach, (North side of 30A on the green), you can enjoy a wide selection of dairy products such as butter, cheese, cream and milk. Various vendors carry meat from grass-fed cows, chicken products and homemade sausages. Go organic, find Gluten free items, home-grown fruits and vegetables, jams, crab cakes and guacamole. Two of my favorite are Matt's Mom's Mustard and Wally's Hummus (Mano's Authentic Health Food). Also find interesting treats for your pets, dogs and cats, along with many other items! In addition, the Rosemary Beach Farmers Market opens on Thursdays from 9 AM to 1 PM starting on Memorial Day until Labor Day. This farmers market is held regularly at the Seaside Amphitheater. Labor Day to Memorial Day: Every Saturday from 9 AM to 1 PM and Memorial Day to Labor Day: Saturdays AND Tuesdays 8 AM to 12 PM., The Seaside Farmers Market is a producers market focused on food, produce, cooking demonstrations, specialty items, artisan cheeses and breads, novice and professional gardeners, seed exchanges, educational aspects of growing and preparing food, and the celebration of eating and sharing great ingredients. Every Saturday from 9 AM to 1 PM, residents of homes along 30A have the best access to a great line up of products at Grand Park (between Tommy Bahamas and Cantina Laredo), located in Grand Boulevard, near Sandestin. The Grand Boulevard Farmers Market offers a wide range of dairy products such as butter, cream and milk. There are meat options such as those from grass-fed cows available to guests as well. Try something new with the variety of gourmet jams available. Interesting pickled vegetables and assortments of herbs and flowers are sold too. There are also body products such as soaps and lotions available at this farmers market. Food vendors will delight your taste buds with their selection of artisan pastries, pita, dips, hummus and lemonade. Your week will surely be filled with the best and most unique treats found in these farmers markets in the area. Call me at 850-450-2000 or send an email: Debbie@30ALuxuryHomes.com. 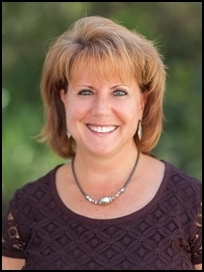 I’m here to offer you the best service you need from a Real Estate Agent. 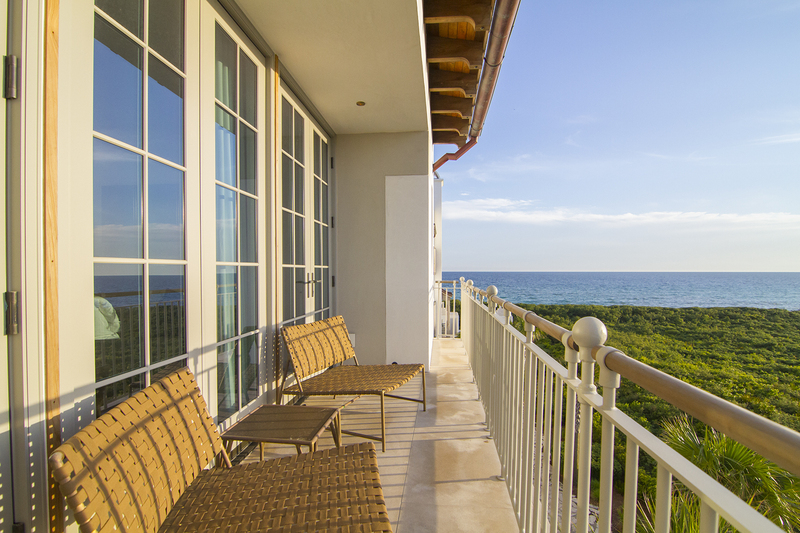 I have the expert knowledge and extensive experience to help you find your dream beach home! On March 02, 2017, 850 Properties sold 130 Sea Garden, in Alys Beach, FL for $5,650,000.00. This significant sale represents the highest priced sale in Alys Beach since 2015. The stunning home features 5 bedrooms, 5.5 bathrooms, 3,865 square feet, and is on the fourth row from the Gulf. This is the first home in Alys Beach, south of 30A, to sell this year, and the second to sell within the past calendar year (according to the local Multiple Listing Service.) Selling for $1,461.84/SqFt, it brings the average price per square foot in Alys Beach, for homes on the south side of 30A, to $1,242.40/SqFt. Looking at Alys Beach as a whole, there have been a total of 30 home sales in the past year. The average price per square foot for all of Alys Beach is $791.62. Additionally, this sale continues to keep 850 Properties as the top producing outside Brokerage in Alys Beach. In an article written by Business Insider, it lists the most expensive zip codes in major US cities. The second most expensive area in the US is San Francisco, California, at $1,669/Sqft. Listed as the most expensive area in the US, New York, New York, at $2,829/SqFt. Based on the price per square foot, 130 Sea Garden would be 4th in the country, and Alys Beach would rank 8th in the country. Alys Beach continues to show solid growth potential, and the majority of the the sales in Alys Beach are cash transactions. The last mortgage to be recorded was 08/31/2016. Additionally, the last Lis Pendens to be filed was 12/18/2013. This information goes to show that the growth of Alys Beach is not being over-inflated by borrowers utilizing other peoples money. There are currently 13 active listings in Alys Beach. However, there are a few private listings as well ("pocket listings"). The future value (FV) is the value of a current asset at a specified date in the future based on an assumed rate of growth over time. A 3 bedroom house, along Scenic Highway 30A, in Seacrest Beach would cost approximately $330.00 per night on VRBO.com. According to Paradise Beach Rentals, the cost of renting vacation properties in the east 30A area increases about 7-10% every year. Therefore, if someone were to rent a house in Seacrest Beach for a week during Spring Break, and week during the summer, it would cost $5,151.30 a year (this figure includes 11.5% bed tax, but not a cleaning fee, or any other additional fees associated with renting). Most mortgages on Real Estate are amortized over 30 years. So, let’s figure over the next 30 years, that same vacation will end up costing a total of $520,657.56. Just to rent a house at the beach. A 3 bedroom house in Seacrest Beach would cost approximately $650,000.00. Which, it might seem a bit overkill to buy a beach house to only use 2 weeks out of every year. This is why most people who own a house at the beach end up renting it out the other weeks of the year. 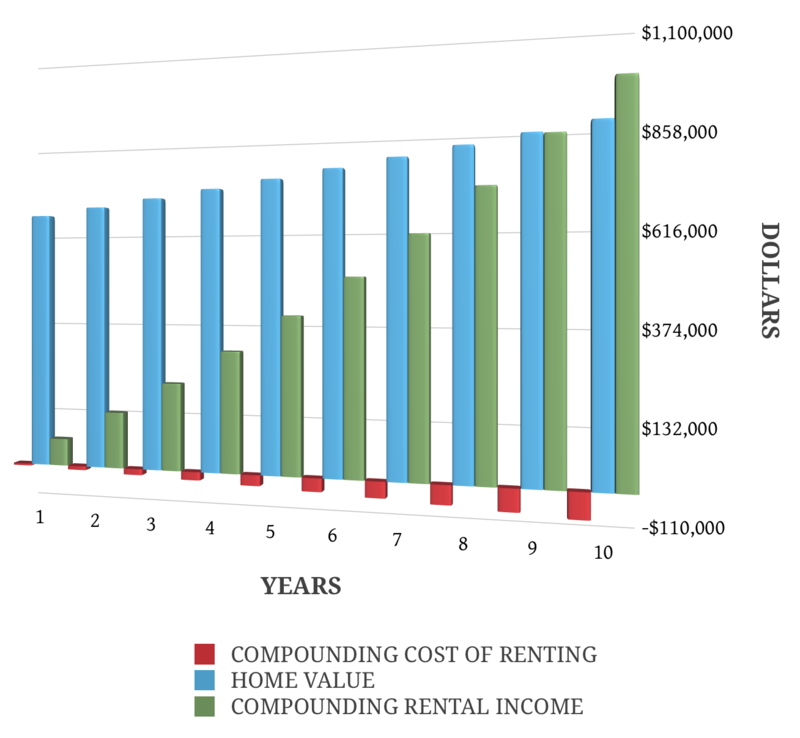 Using the same figures from the rental example, and assuming the property would only rent for 200 days out of the year, over the same 30 years, the property would generate $6,670,820.73; or, over 10 years: $975.717.56; or, over 5 years $406,117.19. According to the National Association of Realtors, home prices grow at a modest rate of 3% annually. This means, in 30 years, that same house in Seacrest Beach would sell for $1,577,720.61; or in 10 years: $875,545.65; or, in 5 years: $753,528.56. All of this information will help you make a sound decision when purchasing a Beach Home. We are not financial advisors, and do not make any claims as to what property is or is not an investment fit for an individual's overall investment portfolio. It is best to seek the advise of a licensed financial advisor before purchasing a property. All of the data collected is based on estimates that are deemed reliable, but not guaranteed. All data should be independently collected and reviewed. Please call our office with any additional questions, comments, or concerns. foot is also up from $689.32 in 2015, to $839.53 in 2016. 78 S. Green Turtle Lane was the highest priced sale in Rosemary Beach for 2016, selling at $10,250,000. The home was on the market for 150 days, and sold at $1,842.53 per square foot (16% lower than the highest price per square foot sale in 2016, but still more than double the average). The average Cumulative Days on Market (CDOM) did see an increase over 2015.The 35% increase in the average CDOM closed out 2016 at 266 days. The increase in CDOM is correlated to the increase in Original Listing Price. In 2016, homes sold for 81% of Original List Price. This number is up 8 points from 2015. However, after price adjustments, homes sold for 92% of the adjusted listing price; the same as in 2015. 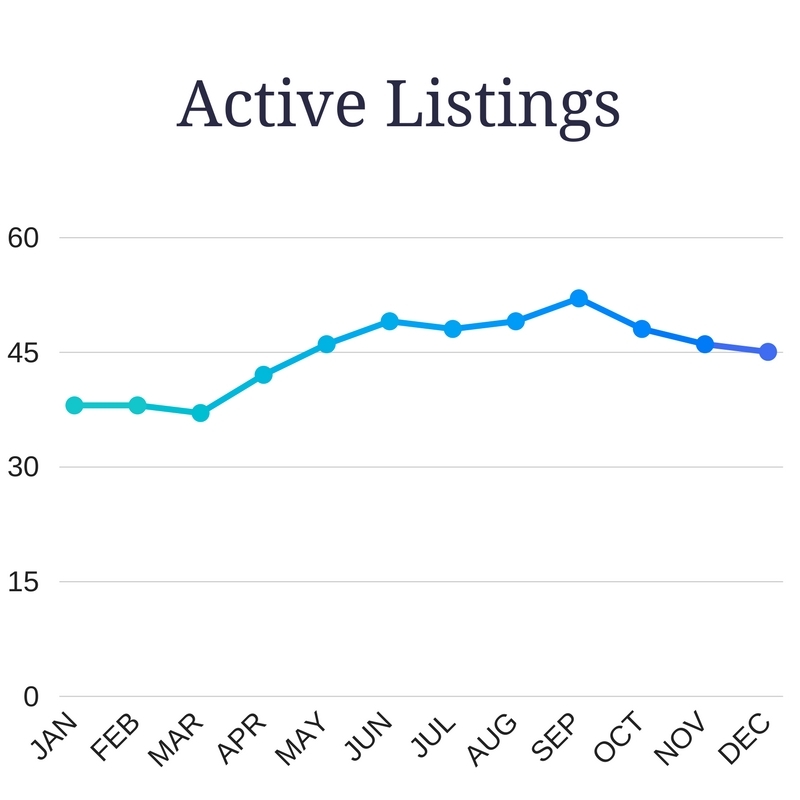 These numbers go to show that the Rosemary Beach market is predictable and steady. As of today, Original List Prices are already nearly 2% higher than 2016. With Spring Break right around the corner, we’ll see what the market is willing to bear. 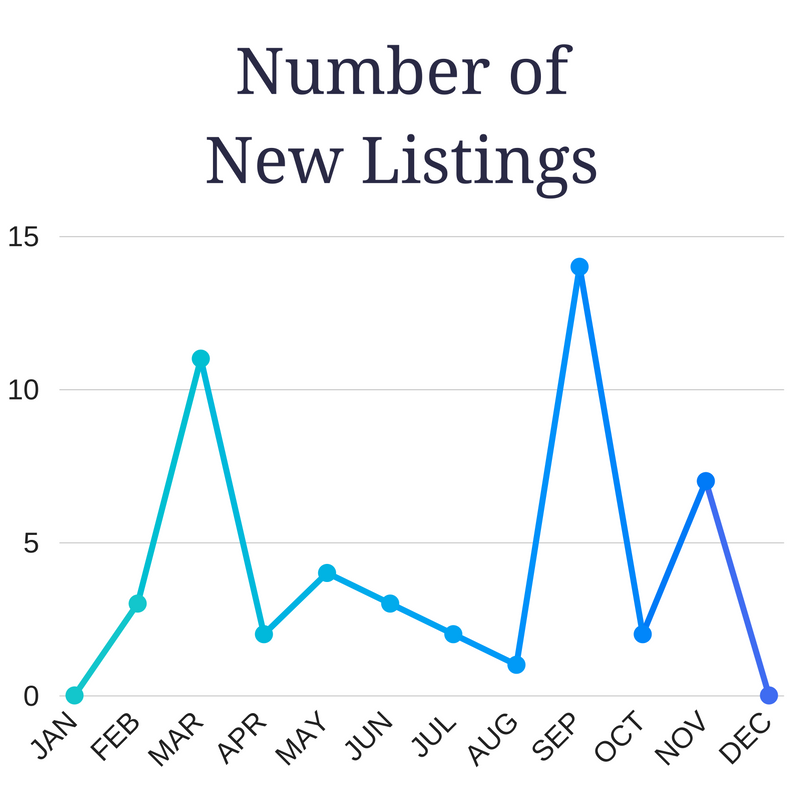 Currently, there are 49 listings on the market, with an average Original List Price of $3,568,124, and an average price per square foot of $1,011.49. If the market copies 2016, this year will increase the average price per home to $3,580,704, and the average price per square foot to $989.72. 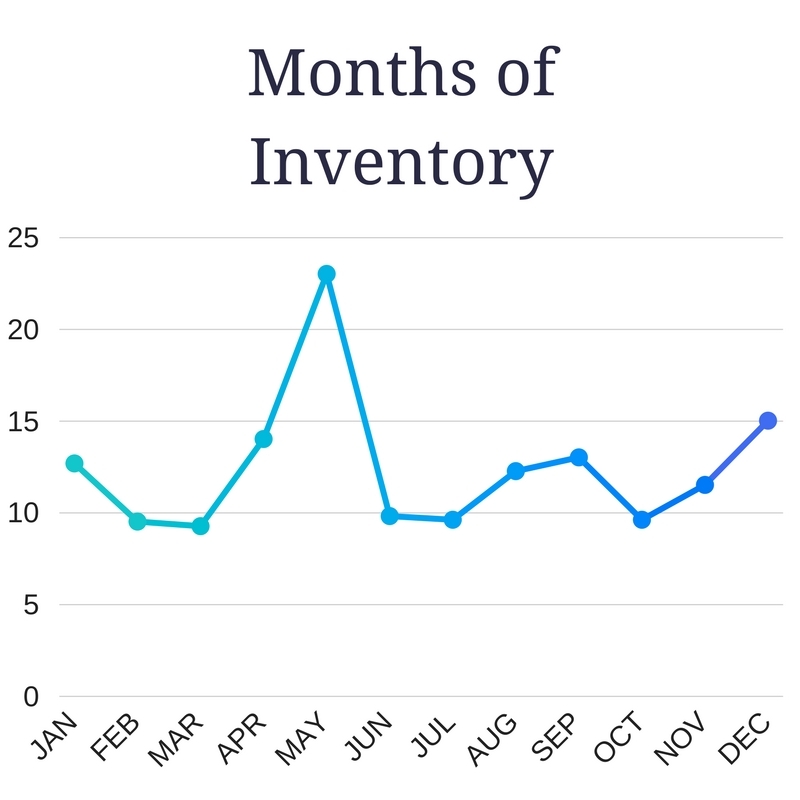 December closed out the year with an absorption rate at 15 months worth of inventory. It’s not the high for the year, but it is over the 2016 average absorption rate for Rosemary Beach homes (11.74 months). 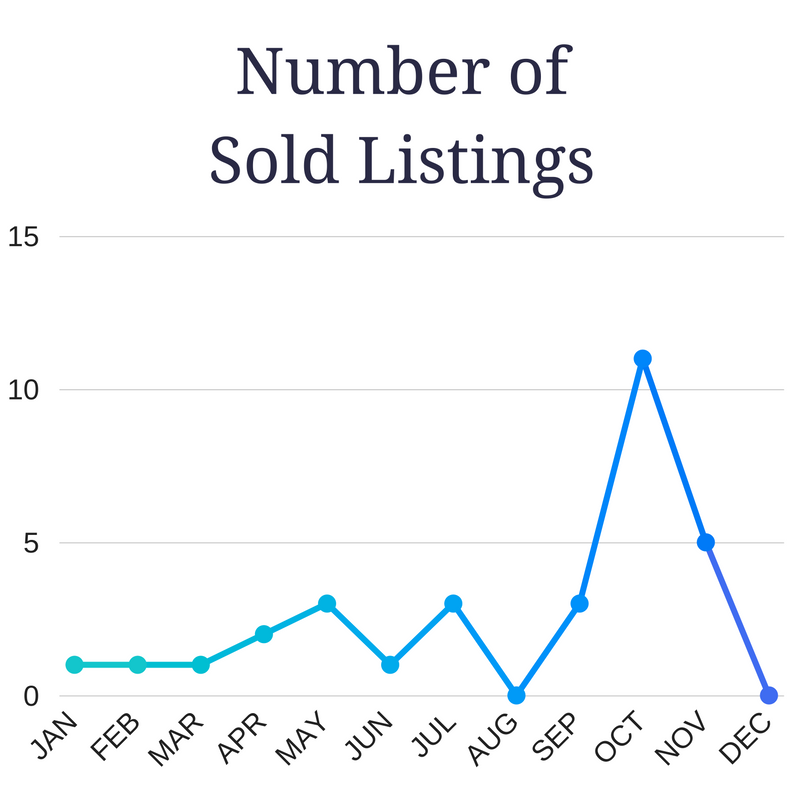 The absorption rate means, that no other listings hit the market, and sales remain constant, it would take X number of months to sell through all the homes listed. Comparing the home sale numbers in Rosemary Beach to the entire 30A market, homes in Rosemary beach sell for about 61% higher. In total, the whole 30A market represented $987,464,075.00 in home sales, with an average price per square foot of $433.38. For 2016, 850 Properties ranked in the top 10 of Brokerages selling in Rosemary Beach. Additionally, since the inception of 850 Properties, it has continually ranked in the top 10 selling Brokerages in Rosemary Beach. As a Brokerage, homes listed in Rosemary Beach, by 850 Properties, in 2016, were on the market an average of 61 days (77% less time than the average CDOM). Additionally, 850 Properties had an average sold listing price per square foot of $848.55 for 2016 in Rosemary Beach. Out of all the Brokerage Offices registered in the area with the local Association of Realtors, 850 Properties ranks in the top 5% of Brokerage Offices based on volume of transactions along 30A. Click the button below to view the most current Market Report for Rosemary Beach. Statistics for local residential sales, according to data gathered from ECAR FLEX MLS, and deemed reliable but not guaranteed. 850 Properties became an independent Real Estate Brokerage Firm in the year of 2013. Since its inception, 850 Properties has sold more homes in Alys Beach than any other outside Brokerage. Based on the number of transactions, 850 Properties holds 21% of the market share out of the top 10 selling Brokerages in Alys Beach. In 2016, 31 homes in Alys Beach were sold. 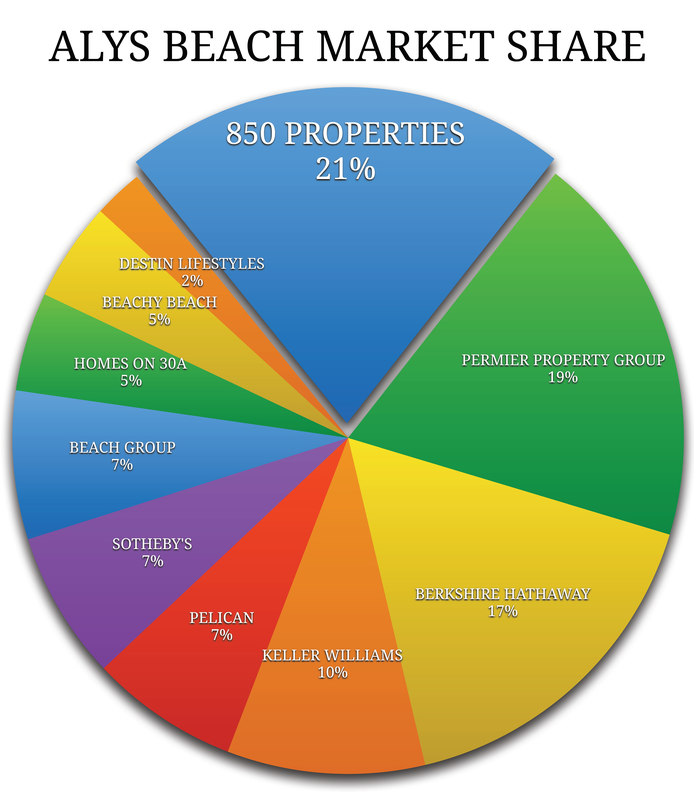 Of the top 10 Brokerages selling in Alys Beach, only 80% of the Brokerages recorded a sale in Alys Beach last year. View the most recent sales in Alys Beach. The highest priced sale in Alys Beach, for 2016, was sold by 850 Properties. The sale was 48.1% higher than the average home sale price in Alys Beach for 2016, and the home was sold for 98.9% of the original listing price. The sale was also 18% than the next highest sale, and was on the market for 48.9% less time. Alys Beach continues to set new highs for the entire 30A market. The highest price per square foot sale in Alys Beach for 2016 was $1,022.97. On average, for all of 30A, the price per square foot was $393.12 (not saying that Alys Beach is at all comparable to the rest of 30A, but it should put things into perspective). The lowest price per square foot sale in Alys Beach for 2016 was $598.80. Despite the statistics, it goes without saying that Alys Beach is in a league of its own. It is for that reason alone that anyone looking to sell or buy in Alys Beach should consider working with a Brokerage that sells more than any other outside Brokerage. Interested in More Market Reports? Information is deemed to be reliable, but is not guaranteed. (c) 2017 MLS and FBS. All the listing data, images, or other materials contained in the ecn.flexmls.com site are the copyrighted ((c)2015 ECARMLS) and confidential material of the Emerald Coast Association of Realtors Multiple Listing Service, Inc. (ECARMLAS). Market Penetration Report By Companies. Listing or Selling Companies. Status: Sold. Search Parameters: Property type Residential; Sub-Type of 'Detached Single Family'; Project Name/Subdivision like Alys Beach. As of Wednesday, January 11, 2017 2:58:14 PM. Date Range: 01/01/2013 to 01/11/2017. Number and Volume Calculated By Sides. This past year has been great for Alys Beach Real Estate. The total volume in sales was $70,106,615.00, representing a 45% increase over last year (LY). 31 homes were sold in 2016 in Alys Beach, which is up 55% from LY. The sales numbers bring the average price per home to be $2,261,504, and sets the price per square foot at $748.79. As of January 1, 2017, there are 16 properties for sale in Alys Beach. The list of properties start with a condominium listing at The Lucian, offered at $1.35MM. The highest priced listing is on the north end of Alys Beach, on N. Charles Street, offered at 6.2MM. The average listing price is $2,865,498.00, which is 21% higher than the average sale price in 2016 ($2,261,504.00). The current Cumulative Days on Market (CDOM) for the listed properties is 187 days, which is up from 133 days in 2016. December’s market saturation had an absorption rate of 6 months. Which means, if no more listings are added, the current inventory will sell out in about six months. The absorption rate finished out the year low after it’s peek in September of 11.33 months. 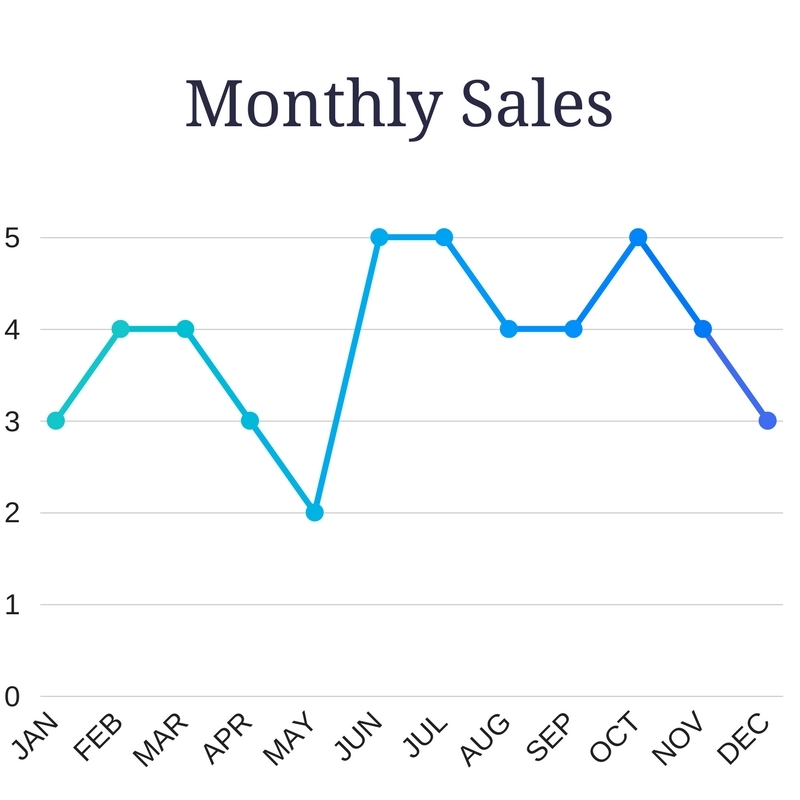 It’s historically normal for the C DOM to increase around the holidays, and progressively decrease over the spring and summer months. 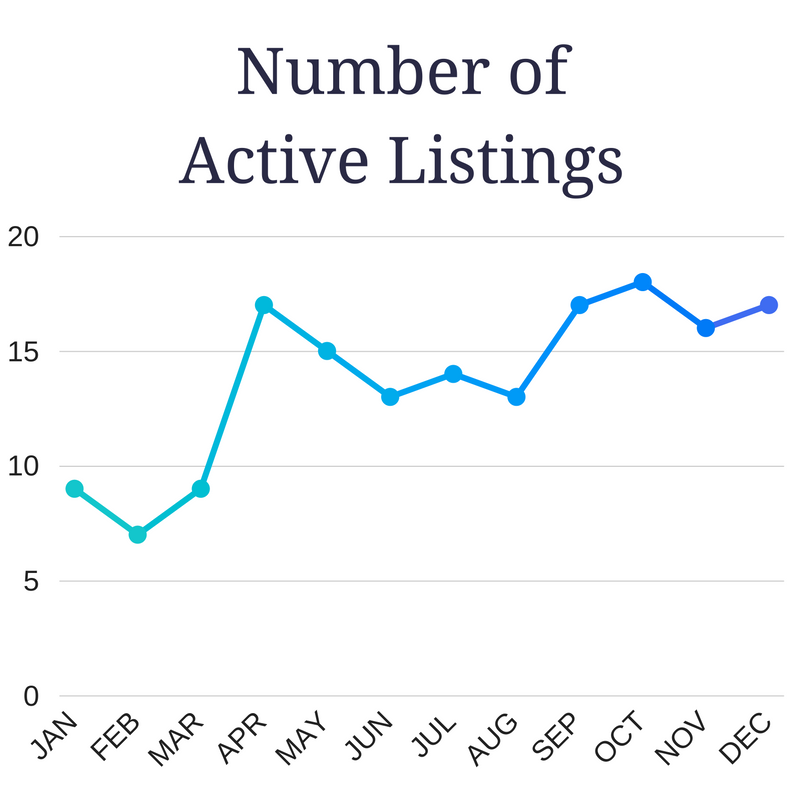 The number of Active Listings in Alys Beach is continuing to increase, and the sales are following the same trend. This is likely due to the new construction in the community. The market reports are indicating strong upward growth, and look hopeful for the growing community. Strong sale prices, and the recent increase in the consumer confidence index should prove to show property owners larger than normal returns. From a brokerage standpoint, since the start of 850 Properties in 2013, 850 Properties has sold more properties in Alys Beach than any other outside brokerage. Additionally, 850 Properties represented the sellers in the highest priced sale in Alys Beach for 2016. 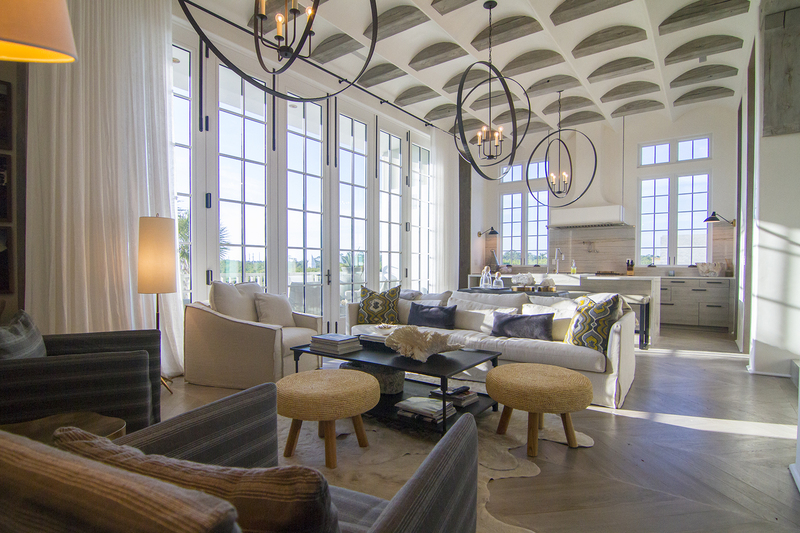 In the past year, 11 different brokerages have represented part of a sale in Alys Beach. However, only a few brokerages continually represent the overall sales production for the community. Of the 16 properties on the market in Alys Beach, there are only seven listing brokerages, and three of the brokerages had no sales in Alys Beach during 2016. Based on sales reports from the local MLS, there are only four brokerages that represent 83.73% of the sales in Alys Beach. View a list of properties in Alys Beach, FL currently available for sale, pending sales, and properties sold within the past 6 months.